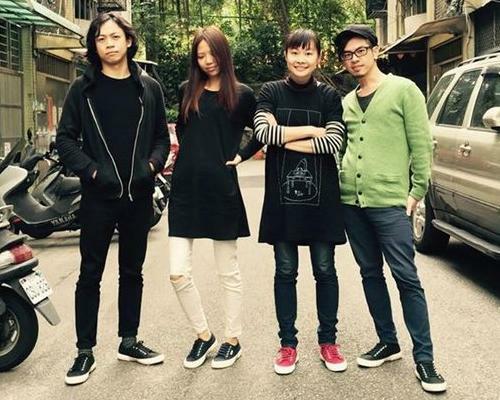 I found this band when I was looking up Enno Cheng’s music about a year ago and saw that she was also in this band. Chocolate Tiger do mostly rock and soft rock songs. They are most likely not going to wow anybody with their music but I think they are pretty good. Their album release was solid and the demos they put out this year were good also. Enno’s singing is nice. She has a soft and soothing voice for the slower rock-ballads but can still pull off rock songs decently well. If I compare her vocals to the last band I featured (Astro Bunny), I would say her vocals are a lot better than Astro Bunny’s Lena Cha. Enno Cheng continues to perform as a soloist as well as with the band. Her solo material is worth checking out if you like acoustic music. It’s much softer than Chocolate Tiger’s music so you might like her music even if you don’t like the band’s. I might feature her as a solo artist eventually, but if you’re curious, here’s a taste.